Back in May, I was wowed by Liz Earle’s Chelsea in Bloom entry! 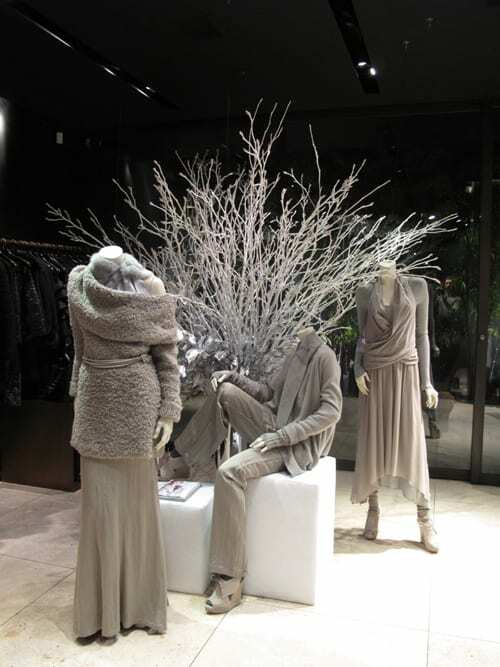 So much so, that I asked one of their staff who had created it…it was Derek Isaac of SuperNature Flowers. 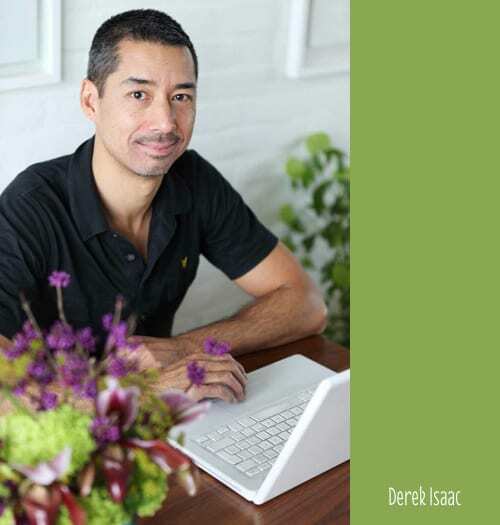 I contacted Derek and am delighted to feature him today on Flowerona. Could you tell us what prompted you to become a florist and how your floristry career has progressed? There were a number of reasons. My previous career in Human Resources was very unsatisfying and I was looking for a career change. 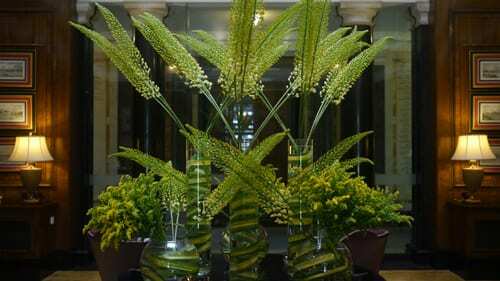 My partner, Mark Siredzuk, is the in-house florist at the One Aldwych hotel and I used to work for him, whenever he needed an extra pair of hands. When I finally left the HR industry, he put me in touch with Bloomsbury Flowers, where I started a 3 month work experience placement. I absolutely loved working there. It really helped that I have always had a keen interest in plants and flowers and an artistic eye that I never had a chance to utilise. I haven’t had any formal training, but I picked up the basics very quickly and soon after starting, Mark and Stephen (the Bloomsbury Boys) gave me a full-time job. One of my main responsibilities was managing The Soho Hotel contract, which at the time was the most fashionable hotel in London. This was an invaluable experience, as I was given a lot of creative freedom on a high profile client. 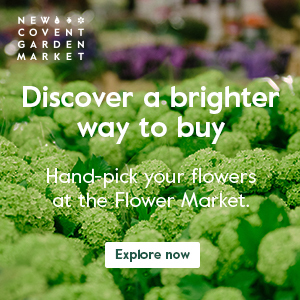 I worked at Bloomsbury Flowers for a year after that, before setting up SuperNature Flowers with my first hotel contract. I’m very fortunate that the business has grown organically by word of mouth. When did you start your business and where are you based? In 2007. We’re based in Oval, SW8, London. Very handy for the Flower Market! 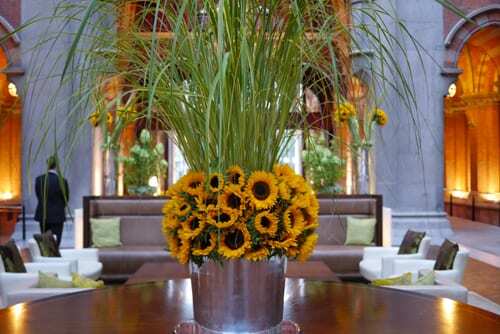 90% of our work is contract floristry. 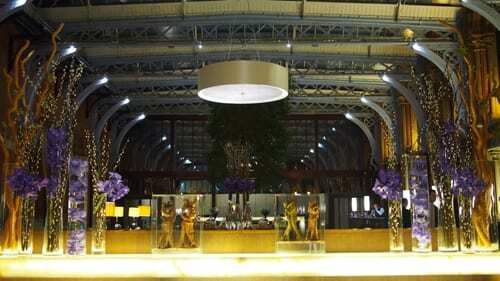 Our main clients are hotels, shops and restaurants. 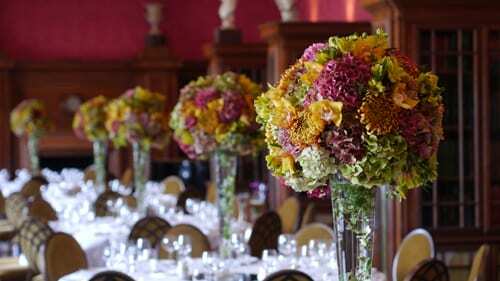 We also provide wedding and event flowers. 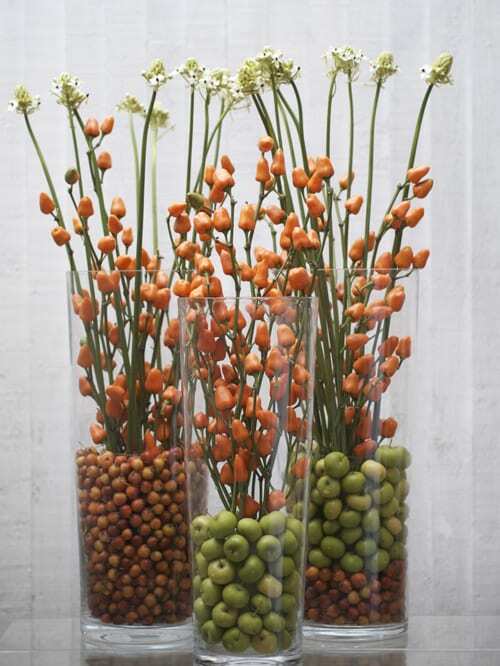 Where do you get inspiration for your floral designs? 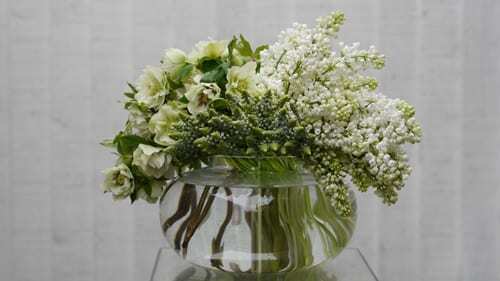 There are a number of factors that influence our floral designs. Obviously, whatever is in season is very important. For our contracts, I can only use flowers that are guaranteed to last a full week. The flowers have to be in keeping with the client’s brand. 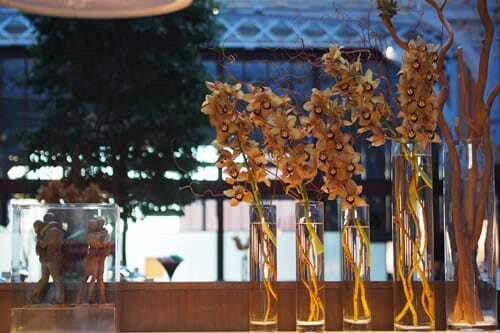 Hotels and shops, in particular, have certain styles and types of flowers they prefer. I have my own likes and dislikes too. 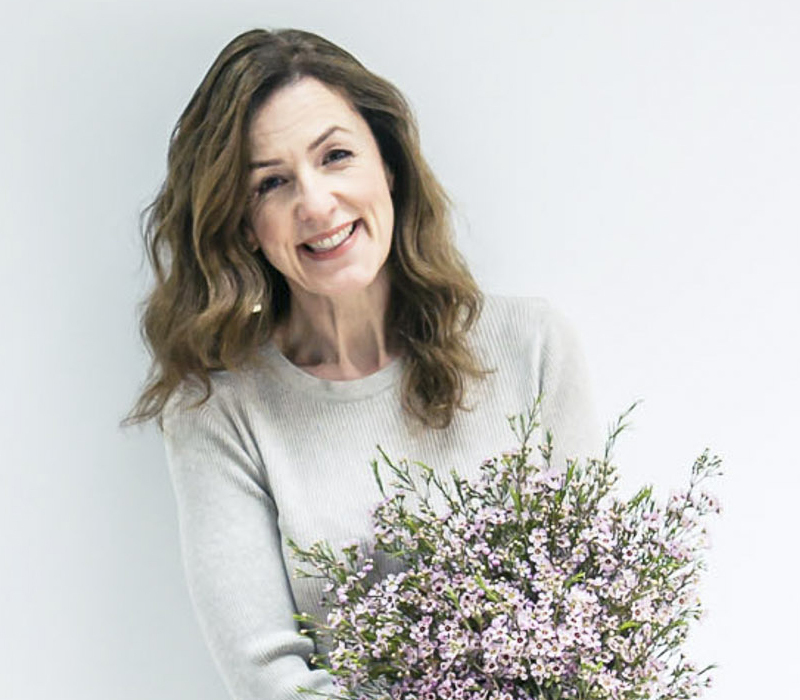 I also like to see what other florists are doing…not to copy someone else’s work, but I would take certain elements and mix it with my own ideas to give the design a new twist. 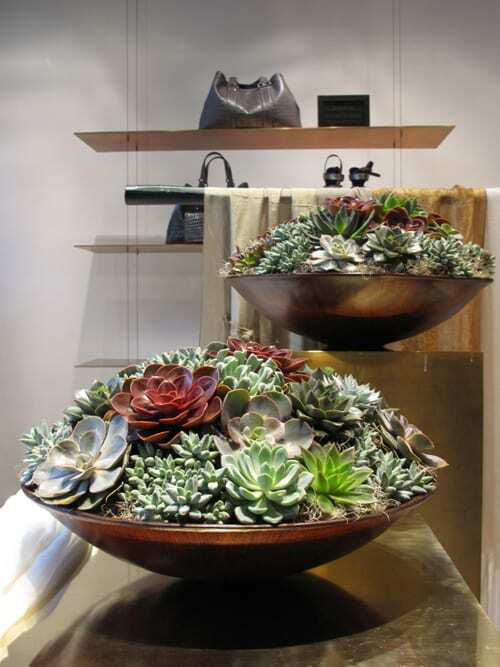 Mark is an amazingly talented florist and his work has been very influential. New ideas also evolve accidently out of problem solving. i.e. 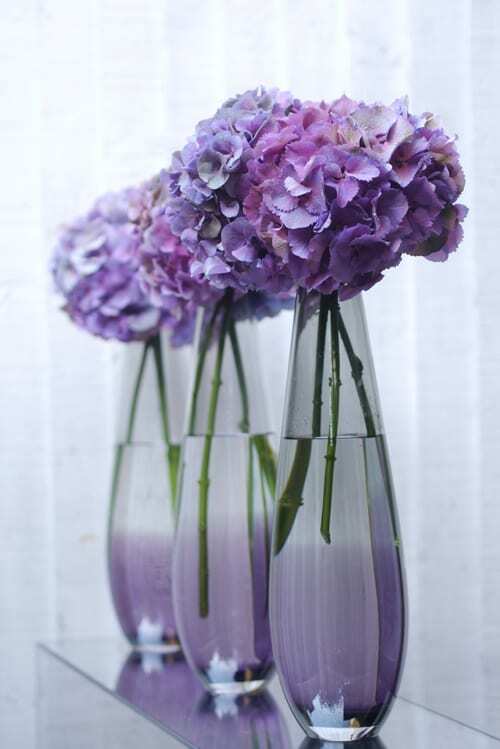 how to make certain flowers last longer by doing x, y and z. Before you realise it, you’ve created a new look. 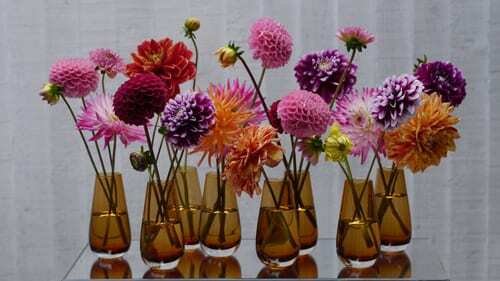 The choice of vase or container is also important. Finding unique vases that no one else has is quite a challenge. I love reading fashion, architecture, interior design and gardening magazines. It’s important to know what’s new and current in these areas. It really depends on the client, so our style is a mixture of traditional and modern. I enjoy being creative, but at the same time, I prefer to keep designs as simple as possible. I’m not keen on fussy or overdesigned flowers. What are your plans for the remainder of 2014? Well, the wedding season has started and soon we’ll be planning our Christmas installations! As we’ve taken on a quite a lot of extra work recently, we’ll be expanding and hope to take on more staff. I’m probably one of the few florists that doesn’t tweet. 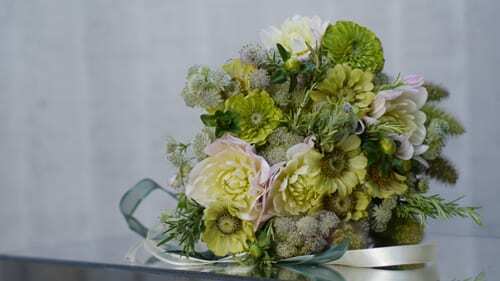 But I’m planning on setting up an account after one of my photos was recently tweeted by a client during British Flowers Week and I got a phone call 10 minutes later from someone who saw it hash-tagged. I was impressed! I don’t have one single favourite as it changes with the seasons. I love peonies, eremurus and hydrangeas during the summer months. I also love hellebores. Unfortunately, we don’t get to use them very often, but now and again I treat myself to a bunch and take them home. Roses and orchids are favourites all year round. Thank you so much to Derek for all his help in compiling today’s blog post. 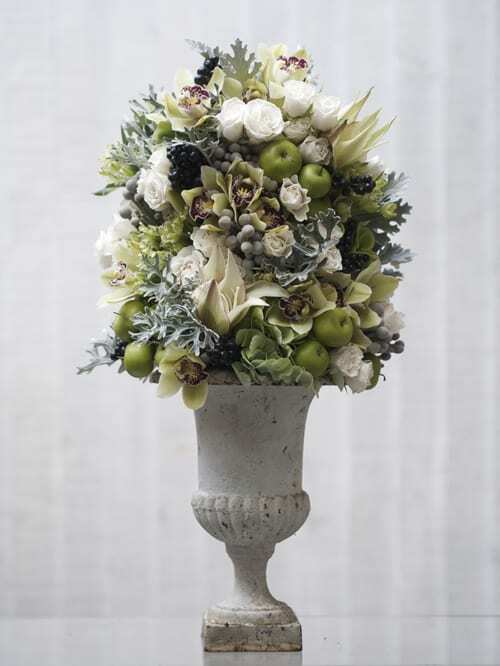 Do pop over to the SuperNature Flowers website to see more of his stunning designs! 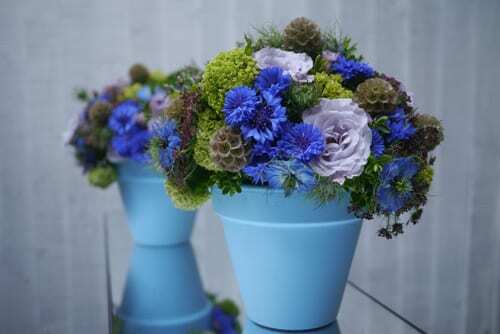 « Wedding Magazine Blog Awards…Flowerona has been short-listed for Best Flowers Blog!